Merit’s Megatouch Aurora marks a revolutionary advance in touchscreen entertainment. The space-saving design and innovative games maximize both bar space and the player experience – making Aurora the ultimate crowd pleaser. 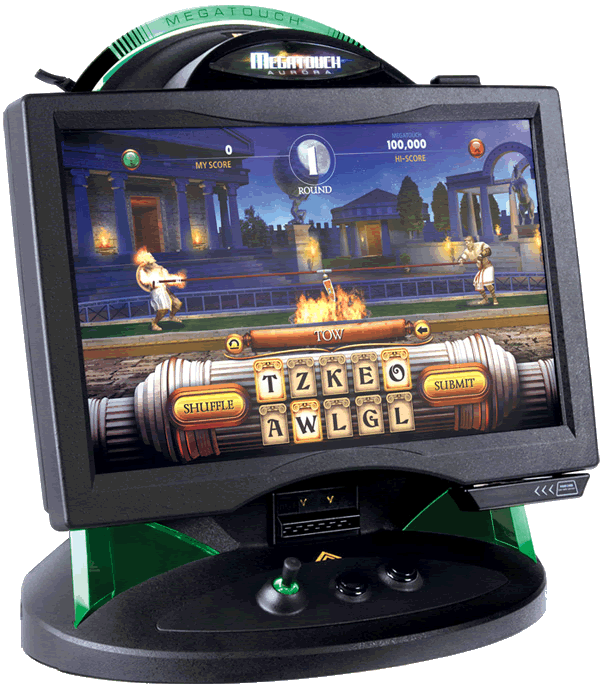 Merit's Megatouch Aurora comes standard with a vivid, wide-angle 19" LCD with over 150 touchscreen games plus joystick games. The Aurora's The elegant, rounded design invites players with a dynamic multi-color light show that extends the game beyond the screen.